The premise: Motherhood is hard. Everything about it. And it's harder when you are going through it alone. So why not gather a bunch of mothers in a room and laugh (and drink) about it together? Why See The Pump and Dump? 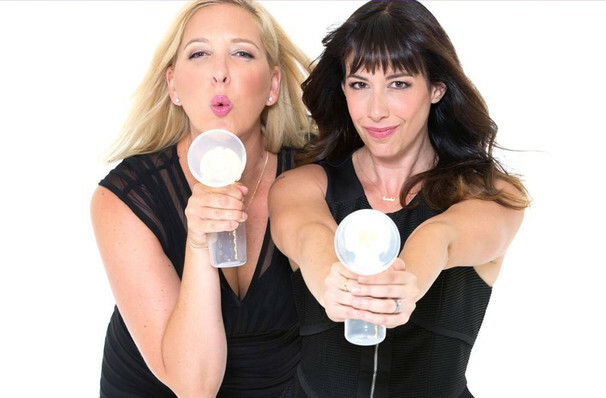 If you're new to motherhood or have even been around the birthing block, Shayna Ferm and Tracey Tee of the hilarious Pump And Dump live comedy show may still have golden nuggets of insight, info and solidarity for you. Heading out on the 2019 Parentally Incorrect Tour (their sixth national live trek), the P&D duo aim to spread humour, generosity and a helping hand to moms everywhere, because they know exactly how hard it is when facing raging hormones, temper tantrums and the dreaded mastitis! 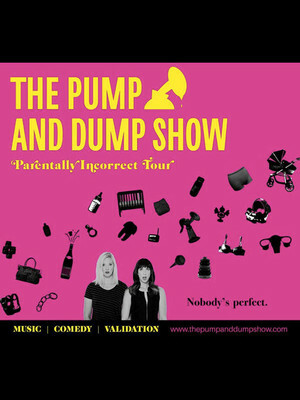 Side-splittingly funny, raw and bawdy to boot, Pump And Dump is a cathartic, rowdy evening of cursing, original music and comedy billed as the "Best Moms' Night Ever". Alongside their candid takes on the joys of motherhood, Shayna and Tracey add an element of silly fun with interactive games and prizes because all moms deserve to giggle like their children do. This latest tour also celebrates the 2018 release of their smash hit book 'Parentally Incorrect: True Tales by Real Moms About the F**cked Up Things Their Kids Have Done', based on the show's popular live segment in which moms submit their outrageous experiences to be read live on stage! Seen The Pump and Dump? Loved it? Hated it? Sound good to you? Share this page on social media and let your friends know about The Pump and Dump at House of Blues. Please note: The term House of Blues and/or The Pump and Dump as well as all associated graphics, logos, and/or other trademarks, tradenames or copyrights are the property of the House of Blues and/or The Pump and Dump and are used herein for factual descriptive purposes only. We are in no way associated with or authorized by the House of Blues and/or The Pump and Dump and neither that entity nor any of its affiliates have licensed or endorsed us to sell tickets, goods and or services in conjunction with their events.